Only 8% of women feel that they confidently make their voice heard at work, compared to 15% of men, highlighting the challenges that women in business can face when seeking to lead with impact. RADA Business, the commercial subsidiary of the Royal Academy of Dramatic Art, is helping women in business to build confidence and make their voices heard through communication skills and leadership development programmes. By adopting and building on the techniques that RADA uses to train leading actors, women can increase their confidence, impact, and authority in professional situations. It’s not always easy to communicate with confidence. The way you deliver your message and the impact it has can be affected by different factors, from the culture of your workplace, who you are talking to, or simply worrying about the expertise of what you have to say. Our recent research identified that women are 10% more likely to feel nervous when negotiating a pay rise than men. 30% of women also feel anxious when presenting to their management team – compared to 17% of men. This shows how the circumstances and the type of audience in certain workplace situations can affect people differently. These findings highlight why it is especially important for women to identify any issues they have with making their voices heard – and feel encouraged to assert themselves at all stages of their career. One simple tip is to slow down in important situations. Nerves can have a profound effect on our breathing, which can shadow our thinking. Take your time to breathe out in and plan what you are going to stay before speaking. Your voice is a tool that can help you to state your intentions clearly. We tend to use upward inflections when we’re uncertain of something, or when faced with a challenging situation, which can reveal to others that we’re not assured of what we’re saying. Experimenting with a lower pitch can give your words greater gravitas. Your body language can help you too. Sit or stand up straight and release any held tension, which is likely to convey nervousness. By holding your space, you can effectively deliver your message with greater ease and assertiveness. Use eye contact to connect with your audience and to help you to engage with everyone, whether you’re in a meeting room or presenting on a stage. This is a simple and yet effective way to build a connection of trust. Whilst applying techniques to help you with your voice and body language, it’s important to own your achievements. When preparing for a job interview, high-stakes meeting, or presentation, try rehearsing your main talking points. It’s easy to forget important pieces of information when you’re nervous, especially if you try to deliver your message as it if were a script. Practising will help you to memorise key buzz words, so that your message flows naturally. By applying these techniques, grounded in the same teachings that RADA uses to train its actors, businesswomen can boost their impact and the ability to lead in the workplace. 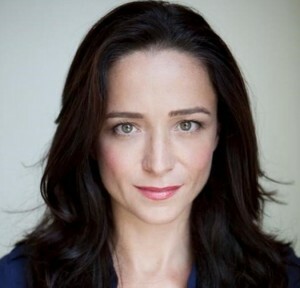 Kate is an experienced actor who trained at RADA. She has a degree in Experimental Psychology from Oxford University. Her training expertise allows her to combine her two fascinations – performance and psychology. As a RADA Business tutor she works with a range of clients, including participants on the women’s programme.